My Bargain Basket: Shape Magazine: 1-year Subscription for $3.64! 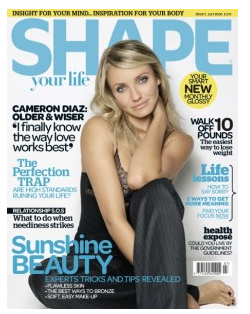 Best Deal Magazines has Shape Magazine on deal of the day for $4.29 today only (71 % off). Use code PXCJ425 at checkout and your total comes down to $3.64 for a one-year subscriptiion. If you buy thru ShopAtHome, you will recieve 15% cash back on your purchase. And if you are new to ShopAtHome, you will get a $5 cash back sign up bonus. If you go through a cash back site, your final total will be $3.09 for a one year subscription.